... comes with Free Basic Set-up & Delivery. Garmin Edge 1030 ... includes the latest navigation tools and is compatible with Garmins expansive line of cycling accessories that lets you measure key aspects of your performance, and awareness add-ons that can help create a safer riding environment. You can build your perfect ride network with Garmin, and it all starts with an Edge. Shimano gear upgrades ... mechanical & Electronic Di2. 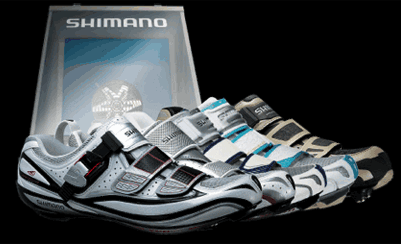 Shimano Custom-Fit Shoes ... Heat & Vacuum moulded for the Perfect Fit. Garmin Edge 820 ... puts the features you crave at your fingertips. This compact, touchscreen GPS cycling computer offers advanced performance monitoring, bike-specific turn-by-turn navigation, our new GroupTrack feature and more. Garmin Edge 520 ... is the first bike computer that's compatible with Strava live segments and includes a month trial of Strava Premium. With this membership, you starred Strava segments automatically sync with the 520 for live feedback during your ride. You'll also get alerts for segment start and finish and leaderboard rankings once you complete the segment.